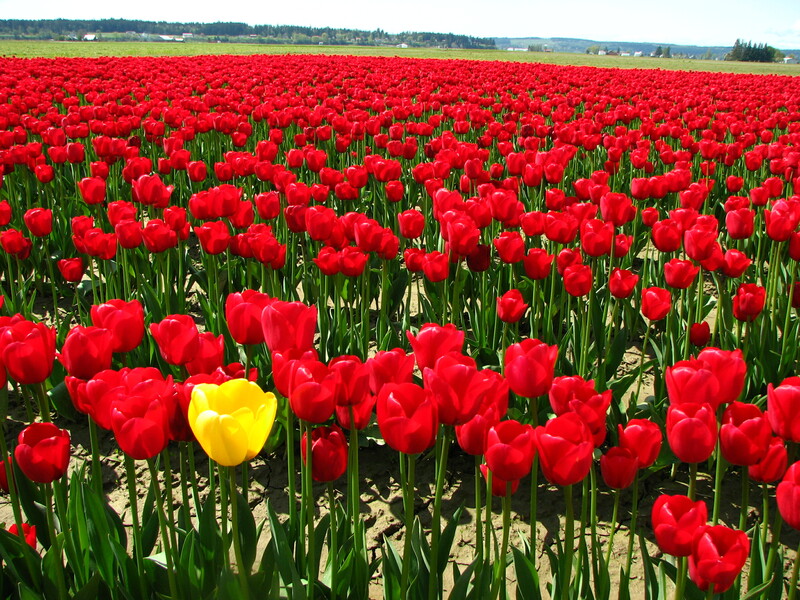 Is your style traditional, classic or contemporary? You can create a floor to match your kitchen’s style, that’s also easy to clean and maintain, so it will look great for years to come. What is most important to you? Low maintenance? Easy to clean? Some materials are non porous and therefore stain resistant and easy to clean; others – not so much. Let’s face it, kitchens are tough on floors. A variety of staining sauces, juices and condiments can spill onto the floor. Pots and knives can be dropped (these always fall point down, of course – watch your feet), causing punctures or cracks on the flooring material. Vinyl is easy to clean and tough and it doesn’t easily rip, tear or scratch. Natural stone materials are not all the same. Marble is very soft, easily scratched and can stain. Slate and granite are hard and nearly impervious to water, with proper sealing. They are resistant to scratches and divots, although chips and cracks can appear if a very heavy object is dropped. On the plus side, slate and granite are easily cleaned. They do need to be re-sealed periodically to keep them impervious to water and stains. 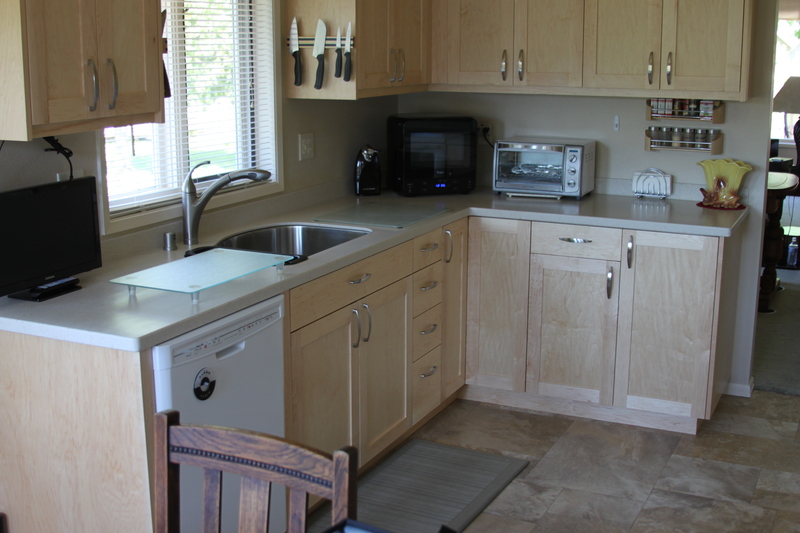 Linoleum is low maintenance and easy to care for. It is resistant to stains, and ripping or tearing. You can get the look and feel of natural stone with a ceramic flooring, for initial less cost and less maintenance over time. Here is a material you might not have considered; concrete. Concrete flooring is sanded, polished and sealed and makes a lasting, durable floor. The cost is low, and it can be stained to match your style and color scheme. 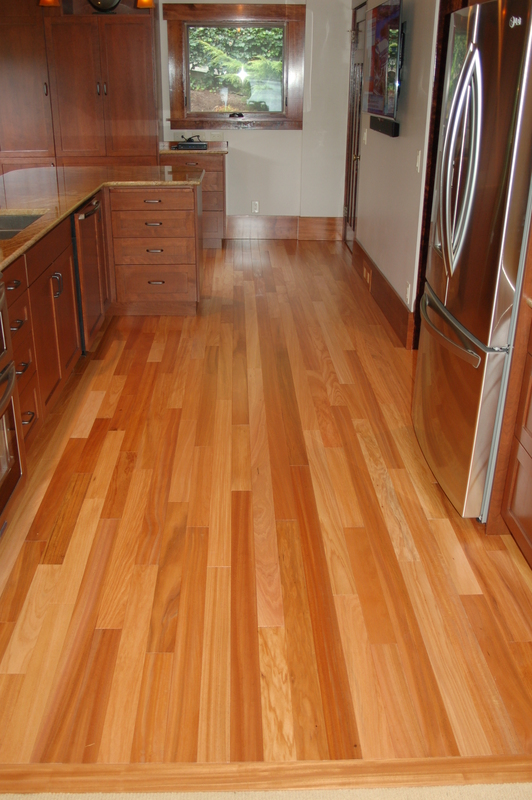 Wood flooring is popular in our area – the Pacific Northwest. There is some maintenance required, to keep it sealed, and it has a warm feel to it. It comes in many shades of brown-to-blond, so you have quite a choice. You know what they say: “What is the bottom line?” Meaning money, of course. That’s why you should remodel now. 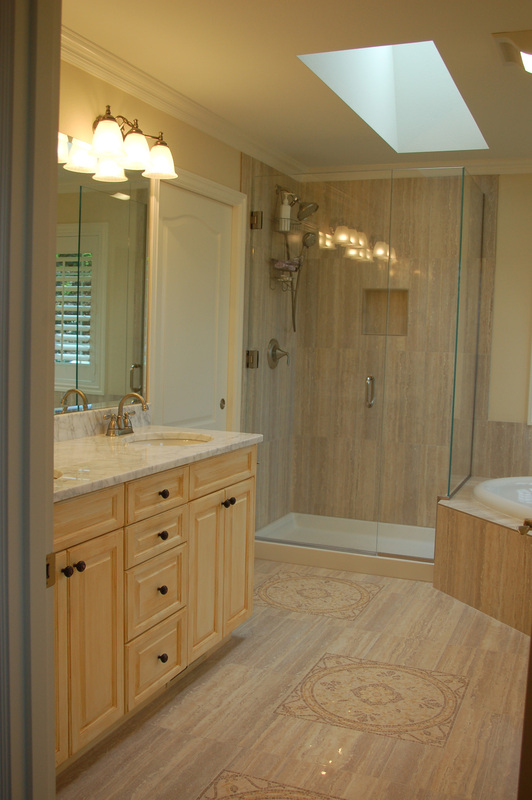 A master bath remodel, kitchen remodel, or adding a well-designed powder room will add value to your home. Of course, you will be able to enjoy updated fixtures, colors and furnishings for as long as you live in your home. Replacing worn-out and dated faucets, shower fixtures and sinks can immensely improve enjoyment of just being home. 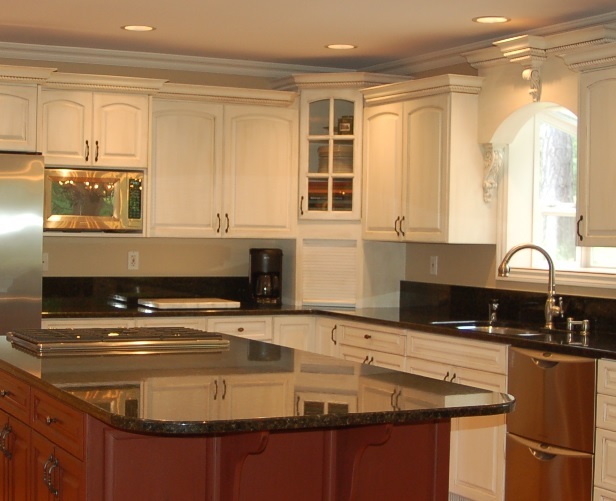 So, speaking in specifics, what gives the biggest return on investment in the remodeling world? Built in bench with 2 level deck in landscaped yard. Decks have a lifespan, and if they are at or near the end of theirs, replacing a traditional single-level deck with several levels and built-in benches are winners. 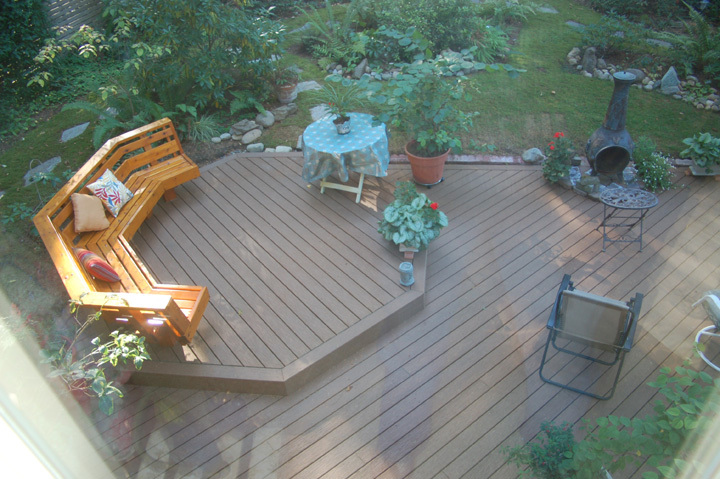 If your previous deck required a great deal of maintenance, have the new one built with low-maintenance materials. There are some wonderful railing options, such as cable railing and glass that allow much more light onto the deck, and do not obstruct the view. 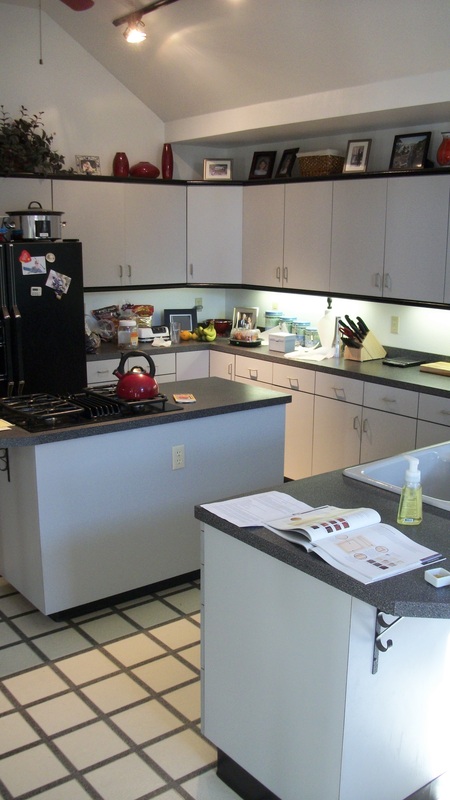 Kitchens and bathrooms are obvious places to do either a complete remodel, or update things as you can afford to. 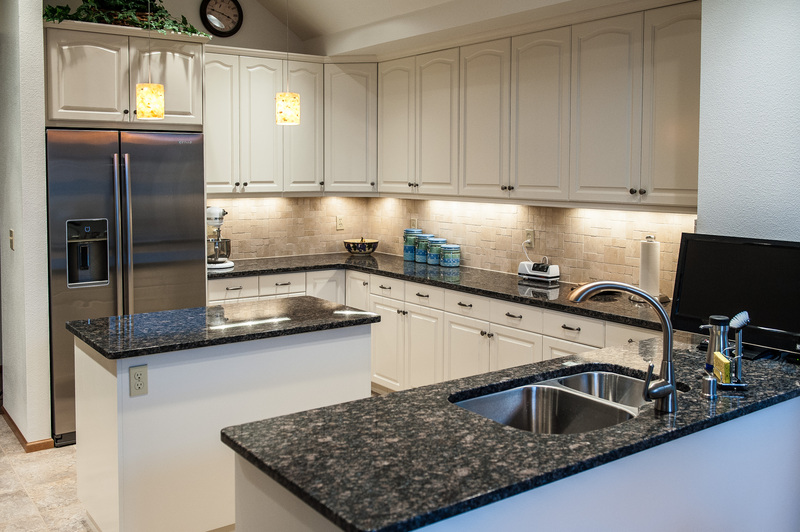 New sinks and fixtures, new countertops, new flooring and paint are all lower-cost remodel projects, that nevertheless, add a great deal to enjoyment and value of the home. 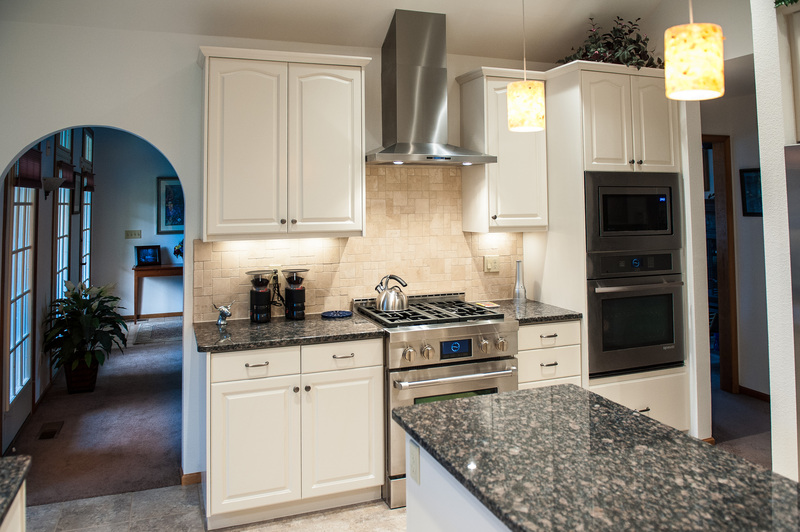 Complete kitchen remodel, including granite countertops, custom cabinetry, and large appliances and fixtures. 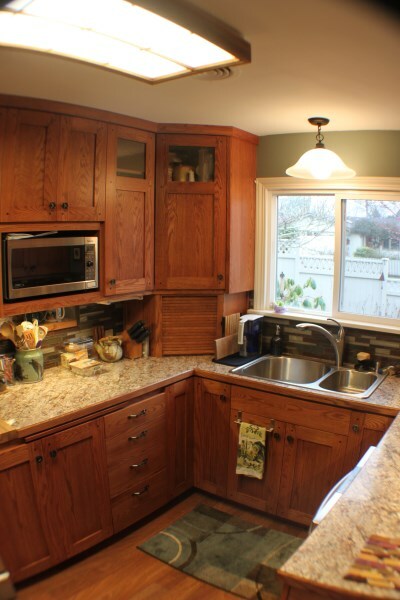 Replacing cabinetry and large appliances are bigger ticket items, but are well-worth doing when you are ready. Do you like low-flow shower heads? Most people would probably say “Not really!” But it is nice to have lower water bills and if you could get a great shower out of a low-flow fixture, wouldn’t you jump at the chance? Well, manufacturer’s have been competing with each other to provide the best shower with the lowest gpm’s, so today we are going to look into the state of this technology. A fairly recent development is the air-induced shower head. It pulls air into the shower head, combines it with the water, and shoots it out with greater force, due to the increased volume the air makes possible. Reviews are excellent, and this type of shower technology is available at a great spread of prices, so do your research to be sure you are getting the quality you want. As stated, prices vary greatly, from under $100 to over $1,000, so do your research to be sure you are getting the quality you expect. Another showerhead option you might like is the showerhead with a variety of spray patterns. One for each mood you might be in! Shower systems can also come with a hand-held shower; these can be great for bathing children and pets, no comparison intended; and is helpful for scrubbing out the shower stall, kind of like a big giant hand sprayer at the kitchen sink! You know how handy that is. In addition to the quality of the shower head and water conservation, consider the shower stall itself for creating a great showering experience. If there is room, a larger shower such as about 4 feet by 6 feet is a great investment. Many of our higher end shower remakes include 2 or 3 tiled walls, a tiled floor and frameless glass shower walls and door, for a spa-like shower! Tiled shower with 2 frameless glass walls/ door. Don’t forget to provide adequate ventilation and light. A good quality bath exhaust fan, perhaps humidity controlled, would help to reduce or eliminate mold and mildew. Light, either from windows, skylights, or fixtures is important. Wall sconces and other task lights can be selected and located just right to provide the right amount of light where it is needed.